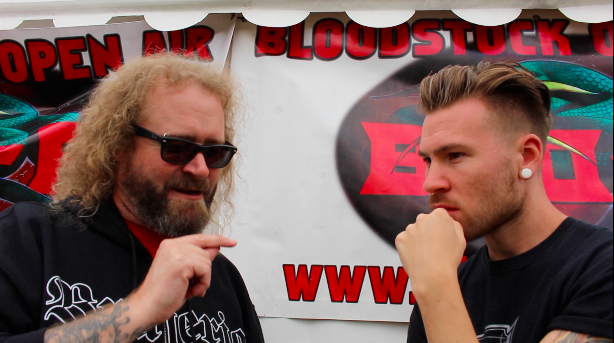 Performing at Bloodstock Festival for the first time, Chilean Thrash bandits Criminal hit the stage at Catton Park shortly before though I was able to catch up with Anton, the band’s singer and he talked me through all about the Chilean Metal scene. Somewhat one of the more niche bands on the scene, Criminal might sound new but they have been going since 1991. With seven albums under their belt, the band released their previous record Fear Itself last year, however owing to Reisenegger’s involvement with Brujeria, the band was put on hold. Until this year, where the group returned to the UK for their festival performance and will be making another appearance across the globe later on. However what I was really fascinated by was the musical culture behind Chile and its surprisingly bountiful amount of bands which have been coming out of it. Having his own podcast, Reisenegger has to keep his ear to the ground when it comes to these releases and not to mention the development of bands. I was also able to ask the man what the status is with their new album and just what we might be able to hear from that! Criminal’s brilliant Fear Itself is out now via Metal Blade.